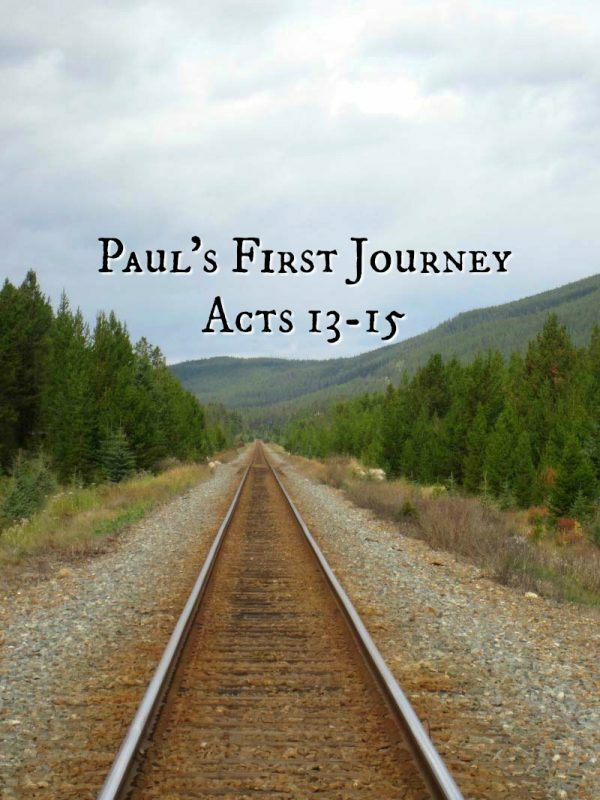 Today, we move into our third week of learning about Paul’s first missionary journey. I have a Facebook group set up for more discussion, a weekly lesson plan, and video lessons. If you’d like to join in, send me a message. All of the posts for this study can also be found under the Current Study page. Have you ever borne the brunt of someone else’s jealousy? Or have you ever been the one jealous of what someone else had? If the answer is yes, you might see yourself in today’s lesson. Serving in a synagogue (or church) can be hard and discouraging to the faithful when someone seems to come out of nowhere and preach a message that disturbs you but draws everyone else. These Jews were struggling with those conflicting emotions. Their jealousy of the numbers flocking to hear Paul caused them to talk against, not Paul himself but, his message. They revealed the true condition of their hearts towards the gospel message of the Lord. Refusing to allow the Lord’s message to be disparaged further, Paul turned his attention to the Gentiles. The Jews were still so consumed and fueled by their jealousy that they convinced others with more clout to assist them in their pursuit to rid the area of Paul and his companions. Quoting Irina Levinskaya, Ben Witherington states “that the high-status God-fearers (in this case apparently mainly women) provided the vital link with the Greco-Roman majority in the city, which if lost to conversion to Christianity might threaten the stability of the Jewish community in this city.” A woman’s power of persuasion can be a powerful sword to wield in the pursuit of keeping the status quo. I’m saddened when I think of the moves of the Lord that our church community has possibly missed because of the need for control and status quo by members and even myself at times. Over and over, Paul and his companions faced opposition to the message that they brought to these communities. They knew that the message of Jesus Christ was worth everything and sometimes, the right move was to move on. The jealous often struggle with moving on and unfortunately, Paul and Barnabas once again had to make a choice of how to handle the naysayers. They chose a different tactic in Iconium. They invested more in the people to see if faith grew. The struggle, heartbreak, and persecution didn’t stop Paul and Barnabas. They continued to preach and teach entrusting the seeds of faith that they planted would root and grow. We, too, should strive to persevere no matter the circumstances to share the message of Jesus Christ.